Lawyers for a man arrested for transporting too much booze from Quebec to New Brunswick argued in court Tuesday that the trade barriers restricting the flow of alcohol and other goods across provincial borders are unconstitutional. 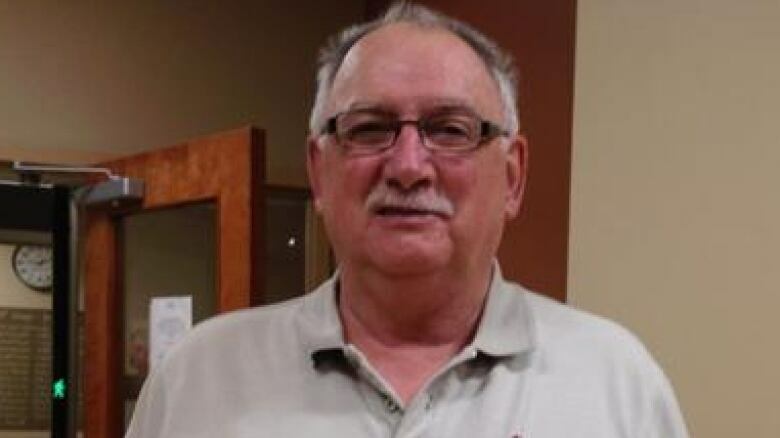 Retiree Gerard Comeau is fighting a charge that he illegally brought liquor from Quebec to N.B. Gerard Comeau, a retired NB Power lineman from Tracadie, is fighting a charge under the New Brunswick Liquor Control Act for illegally bringing liquor across the border into New Brunswick from Quebec. The case has important legal implications because it could result in the striking down of interprovincial trade barriers. Comeau's legal team is being funded by the Canadian Constitution Foundation, a registered charity that helps people claim their constitutional rights. Ontario lawyers Karen Selick and Arnold Schwisberg joined Campbellton-based Mikael Bernard in court today. 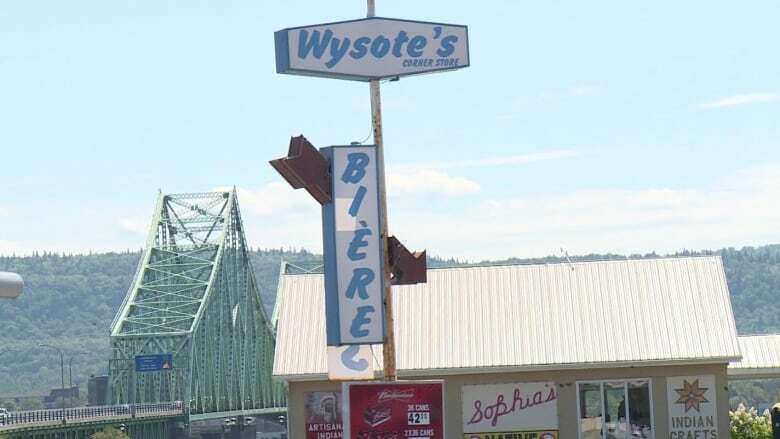 In his opening statement Tuesday, Schwisberg said the section of the New Brunswick Liquor Control Act under which Comeau was charged is "unconstitutional," and interpretation shouldn't make offenders out of thousands of people in New Brunswick who purchase alcohol in other provinces. Under the liquor law, a person may only bring one bottle of wine or spirits, or 12 pints of beer — about 18 cans or bottles — into New Brunswick from another province. The defence will argue the law is archaic, and appears to be largely unknown. The first witness called by the Crown on Tuesday was New Brunswick Liquor Contro Board vice-president and chief financial officer Richard Smith. When asked what would happen if there were no provincial barriers to liquor transportation across borders, Smith said in a worst-case scenario, it would be devastating to the Crown corporation responsible for liquor sales in New Brunswick. Comeau was one of 17 people stopped and charged on Oct. 6, 2012, through an RCMP enforcement operation, for bringing too much alcohol into the province. Comeau was transporting 14 cases of beer, two bottles of whisky and a bottle of liqueur across the border. RCMP seized Comeau's alcohol and fined him $292.50. Outside court, Comeau said Tuesday he was feeling "optimistic" about the constitutional challenge and wants to fight the fine he was given. Inside the courtroom, the defence indicated it would be submitting into evidence a 1925 letter from a Supreme Court justice to a British lord. Historian Andrew Smith from the University of Liverpool. Political scientist Tom Bateman from St. Thomas University in Fredericton. Officials from the New Brunswick Liquor Corporation. Patrick Oland, chief financial officer of Moosehead Breweries. Campbellton residents outside the NB Liquor store in the northern city said it is common to bring alcohol back from Quebec. Campbellton and Pointe-à-la-Croix, Que., are separated by the J.C. Van Horne Bridge. But many Campbellton residents are not even certain about how much they can legally bring back across the bridge. Linda Pelletier was shocked to find out the limit for beer is 18 bottles or cans. "Oh, geez that's not enough," she said. For others, the amount is downright annoying. "I think it's ridiculous. We're living in Canada. Why can't I go get a dozen cases of beer if I want? You can buy 12 cans there for $17 and here it's about $27. Big difference," said Kevin Letourneau. It is that kind of savings that lures people from all over northern New Brunswick to the Quebec border town of Pointe-a-la-Croix. They come from as far away as Tracadie, a two-hour drive, where Comeau lives. After being charged in the 2012 sting, Comeau hired lawyer Bernard to challenge the constitutionality of the law. "It's time for the courts to make protectionist provinces such as New Brunswick respect the Constitution," said Selick, the litigation director for the Canadian Constitution Foundation, and one of Comeau's lawyers. The defence argues the Constitution has contained a provision ordering free trade across provincial borders since the country was founded in 1867. The foundation maintains a misinterpretation of the free trade clause by the Supreme Court of Canada in 1921 has allowed provinces to set up trade barriers through protectionist laws. "The whole law doesn't make sense," Selick said outside of court Tuesday, noting that corporations and manufacturers can exceed the alcohol limit, but individuals can't. "Why is that distinction being made?" In an earlier court hearing, provincial court Judge Steven Hutchison said from the bench the case would be "revolutionary" if Comeau's lawyers succeeded in challenging the law as unconstitutional.